I have been hearing amazing things about Star Wars: The Clone Wars for five years now, and having just recently bought the entire film saga on Blu-ray and re-watched it in the past week, putting me in an extremely Star Warsian mood, I felt like it was finally time I became acquainted with this acclaimed and, from what I understand, canceled-before-its-time series. But first, for some context, I should probably explain where I stand on the Star Wars films. 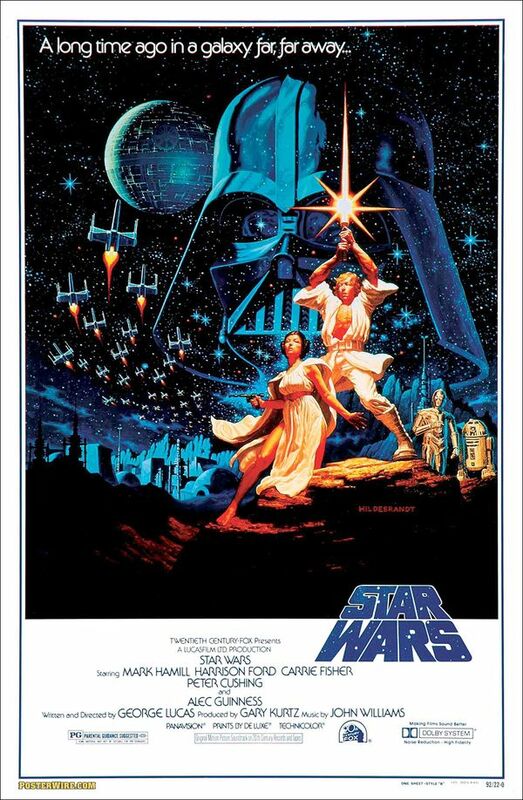 Having been born in 1981, I was too young to see any of the original trilogy in theatres, although I vividly recall watching the Jabba sequence of Return of the Jedi on my aunt’s cable TV (probably the first time I’d ever watched HBO, oooh! ), some time around 1985 or 1986, and it wasn’t long thereafter that I became a devotee of the films. And by devotee, I mean that from that time until my mid-to-late teenage years, I watched the films and read the novelizations countless times. For long periods of time, I ate, breathed, and lived Star Wars. When I was 13, I even wrote a 50-paged paper on Star Wars‘ Campbellian and Arthurian connections (young child of destiny raised apart from his despotic father; trained by an old wizard; was temporarily attracted to a woman who he didn’t realize was his sister, and so on and so forth). To this day, they hold a sense of magic and wonder to me that has not been diminished by time, nor has ever been matched by any other film universe and few other fictional ones full stop. Even knowing the films inside and out, I still watch them in breathless awe, fully transported, every time. The originals remain in my mind pure, untouched, and nearly flawless. I don’t even mind Lucas’ continued tinkering with them, because the story remains so strong, so human, so timeless that I hardly register the few altered surface details. Their heart remains whole and intact. They are space opera of the highest order that, thanks to the mythic scope of the world and the characters, the sincerity of their emotions, and the sheer beauty of the visuals, married to John Williams’ masterful score, often seems to transcend its science-fiction film format and hit levels akin to actual opera. The original Stars Wars is an almost perfect melding of the divine and the–for lack of a better word–profane, blending high drama with “low” genre trappings and humor. The films are, however, never ironic or self-parodic. When the films are funny, it is always on their own terms and never at the expense of the characters or plot, which always take themselves seriously. And the tone is so finely tuned, we never feel the impulse to take the films anything less than seriously ourselves. The same isn’t true of the prequel trilogy, which isn’t nearly as polished. In these films, Lucas’ impulses sometimes fail him. They have powerful moments galore, but they also each contain numerous moments that are, at best, stilted, at worst awkward (which, on each occasion, led to unintended laughter on the theatre screenings I attended). Now, I’m actually not among the legions of prequel haters out there. While all three have various problems, I also consider each one to have absolutely brilliant elements. For example, I’m not the biggest fan of Jar-Jar, little Jake Lloyd’s acting in The Phantom Menace, nor Hayden Christensen and Natalie Portman’s in the latter two films, but I find things such as Chancellor Palpatine’s long-game political maneuvering, Anakin’s emotional arc, the thematic paralleling throughout, and the gradual unfolding of the saga’s impending tragedy (along with the dramatic irony woven throughout), to be truly riveting. I also consider Revenge of the Sith (despite a few objections, such as some instances of clunky dialogue, its overall weakening of Padme’s character, and the dreaded “NOOOOO! !”) to be a masterful film, from a directing standpoint, particularly in its climactic moments such as the “Order 66” sequence, in which the Clones finally begin to wipe out the Jedi, Anakin’s disastrous duel with Obi-Wan, and its final moments, in which Anakin’s fate is sealed, the last two remaining Jedi go into hiding, and two very important children are whisked away to safety–the film’s gradual building of dread is brilliant, and even nearly 30 years after we first knew what would happen to the Jedi and Vader, Lucas dramatizes its inevitable yet still heartbreaking events with such breathtaking passion and heart, it never feels anything less than fully immediate and desperately sad–again, it hits truly operatic heights–with, of course, an underscoring of optimism, due to the new hope that we know will dawn in the next trilogy. I appreciate the prequels’ subversiveness and how they twist our expectations of what the past seemed to be, from the first three films. I love their complexity and their villains’ often labyrinthine scheming. At the same time, I also acknowledge that they have a number of flaws, including the characters sometimes not feeling as fully developed as their original trilogy counterparts and the acting often seeming to lack personality–with some notable exceptions, such as Ewan McGregor’s brilliant Obi-Wan. 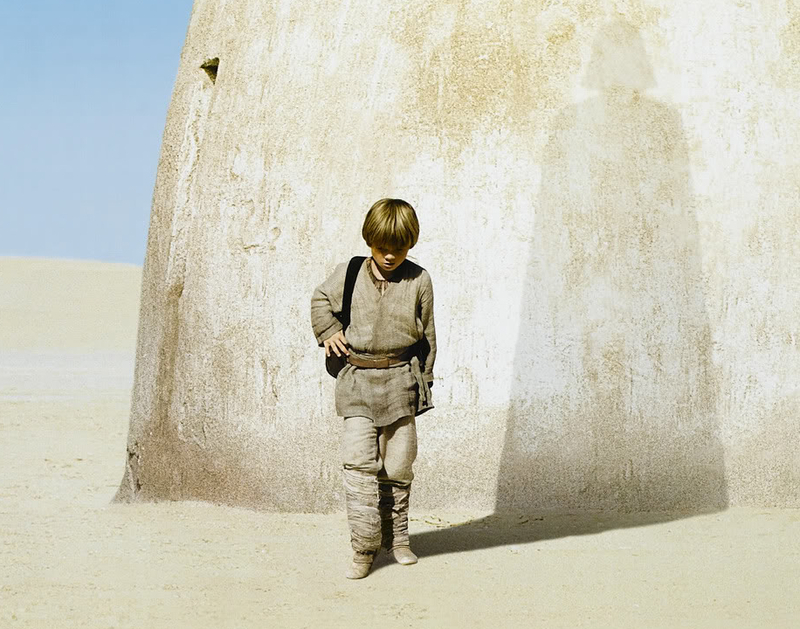 And although the films come from the same mythic tradition as the original trilogy, the first two often don’t feel as mythically heightened–perhaps because they provide solid explanations for some questions from the original series, and definitive answers are not mythology’s general M.O., which instead favors archetype, symbol, and metaphor over concrete explications, particularly when they include trade embargoes and senate hearings–which sometimes makes the suspension of disbelief for the series’ more operatic elements harder to maintain than for the original series. Another issue is that the continuity doesn’t always mesh perfectly with the original trilogy, but that isn’t as problematic for me. Since Star Wars is mythological in nature, I can accept some minor deviations as being par for the course. In mythology, due to much of it springing from an oral tradition, there are always countless versions of the same story, each with its own changes. I basically consider the original trilogy and the prequels to be variations on a theme. That way, I can pick and choose between the elements of the prequels that I love, and those which I would rewrite, if I could. And, in a similar spirit, I can compartmentalize between the original trilogy and the larger saga of which it is part. I can watch the original films on their own and think of their unanswered questions as being just as fairy-tale-heightened and dreamily untouchable as I always have, and at the same time, I can also watch the entire saga and take it as a whole.